Angry Birds offers updates. So should ebook publishers. The difference between the physical (hardware) and the digital (software) is that software is malleable. Allowing a physical book to go to print with a large mistake is a huge problem. Once it is in stores, it needs to be pulled from the shelf, destroyed, then re-printed. And, for the customers who have rewarded you (bought your book), they’re left with a problem. When it comes to software, you can simply correct your mistake and upload the new file. There are update mechanisms for all the major ebook sellers — although some are better than others. This means that instead of punishing readers and customers, publishers now have the ability to push out the corrected version. Also, there are no costs for removing the old file, accepting returns, etc. You still need to quality check your content — especially on different devices — but correcting mistakes is much quicker. In the digital world, the risk of doing things wrong is mitigated by the ease of change. Addictive gameplay aside, minute-for-minute, Angry Birds is the best dollar I’ve ever spent. For those who have not purchased Angry Birds, let me explain why. When you buy the games (there are many different flavors) on release day, they come with a handful of levels — more than enough to validate its $1 price point — but a finite amount. Then, after about a week or two of playing, I start to lose interest (or have beaten all the levels). Then, a month or so later, I notice that there is an app update. 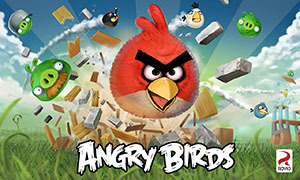 Unlike most apps updates for “Bug fixes” or “Added iPhone 5 compatibility,” Angry Birds offers this rewarding message: “30 new fun filled levels have been added!” For free, with the tap of the “update” button, I get more content just because I bought the game. As time goes on, the updates get less frequent, but they keep me engaged. They update when they have a new game. When Angry Birds Star Wars came out, there was an update to Angry Birds (the original). So, I saw there was an update, downloaded it, and after beating the additional 30 or so levels, I wanted more, and what was waiting for me, but Angry Birds Star Wars. Did I buy it? You bet I did. Reward your customers for buying your books with exclusive content and downloads. Never ship an incomplete book. Your book should have a beginning, middle, and end. But, I frequently see an epilogue at the end of a book. This is the kind of content you can hold on until two months after the release or, better yet, until another hot book is coming out. Offer an updated version of the book that includes the epilogue, along with promotions on the last page for your other books. Alternatively, you could provide additional content, like a newly found letter from the killer in your thriller or a brought-to-light love scene between the two main characters. Reward your customers for buying your books. Anyone who pirates your book loses access to updates, so by frequently updating content, you’re providing additional value to those who pay. If you work in publishing, you are aware of how much technology has become part of your workflow. In fact, if you’re working on the marketing side of publishing, utilizing technology tools is the only way you will survive. Whether the technology is developed in-house, outsourced, or off the shelf, it is important to look at the tools themselves and the process as iterative. Your interaction with software is akin to dating and marriage. In the early days of marriage, if you were going to get married, your parents and your partner’s parents probably arranged the marriage. It was done to join families, gain land/power, or form some greater union. Early days of software were the same — except it wasn’t your parents, it was your boss. Your boss spent a long time talking to the two or three potential mates and finally settled on one partner. Also, it was final. You were stuck using that piece of software as long as you wanted a job. Time went on, things progressed (I could go on with the metaphor, but will skip to the end and save some time). Fast forward to 2010. While some software is dictated to us, we, as users have some input as to the tools we wish to use. Also, some types of software can now be purchased at $50 per license, instead of having to pay $30,000 per site license. This allows us to court our tools, try them out, even try a few at the same time. We find out which tool is the right fit. The best part is that if better, faster, cheaper software comes out, there is no messy divorce (although some data transfer headache). All of the users of your software begin in that early stage of dating. What do you do if your date never calls you back, never contacts you, and seems to provide you less and less value? You give it up. Your software/ebooks need to keep this in mind. If you’re building a technology tool, it should not only reward the user for coming back, but it should reach out when they don’t. Many jobs require you to sit in front of a computer for 4-7 hours per day. A bulk of those hours are going to be using a small handful of tools. Shouldn’t we want to have the most pleasurable experience we can have with those tools? And shouldn’t we design tools that recognize that we are investing a great deal of time to learn how to use them? I swear, this is the end of my dating analogy — and also it is what will tie everything together. People are hard to change, but software is not. I personally fixed 6 bugs and added 4 new features to the Aerbook.com platform in the past week. I’ve also done a complete rebuild of a major website/service (frontend and backend) in 4 months with a very small team. If you have an ebook expert (like one of the #eprdctn crew) on staff, modifying your EPUB and .mobi files to add an additional chapter to a book should be a very quick task (a few days tops, factoring in testing and assuming low layout complexity). It is easy to add more — and it is easy to change existing software you have to do something different or better. Imagine you have a marketing script that does a Google search, Bing search, Amazon search on a few keywords to see where your books rank. To add a new service, or to add a few search terms should be quick and simple. It’s a snap for a programmer to put this script on your company website and easily share results with others in your company. The risk of doing things wrong is mitigated by the ease of change. Unlike a book — which has to be printed, and once printed is “final,” software can and should change. You don’t have to approach its development like standard software development, but and ebook is software. And why wouldn’t you approach software development using best practices established by those who have been doing it for much longer than you? If a software engineer wanted to publish a book, shouldn’t they come to you?